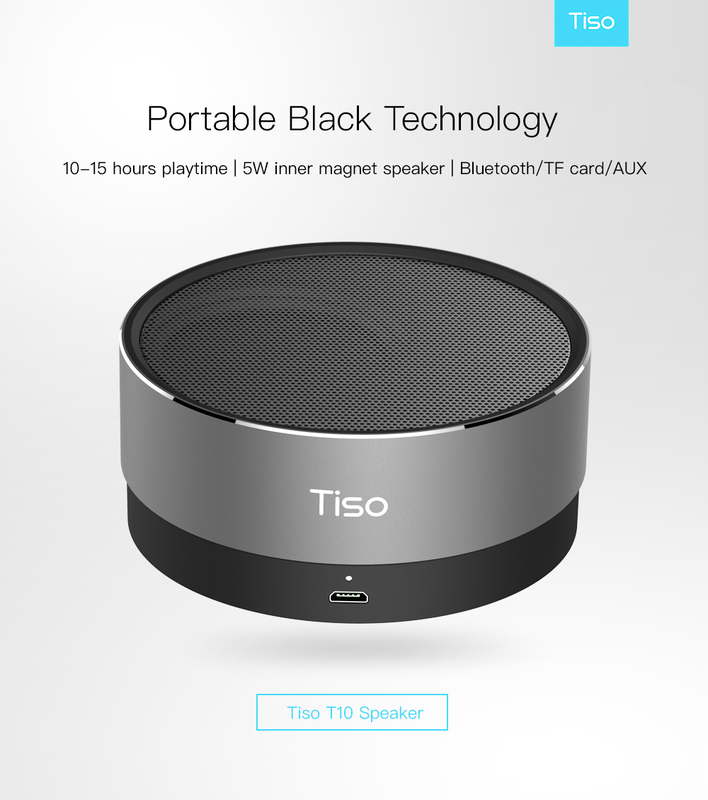 Bluetooth speaker metal mini portable wireless 10-15 hours playtime 5W loudspeaker outdoor IPX5 waterproof AUX TF MIC. 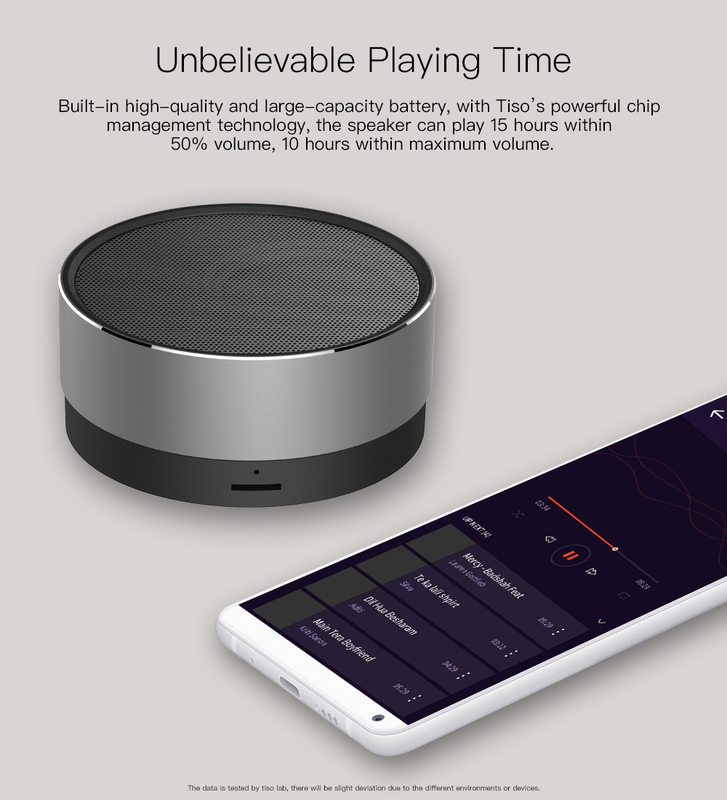 Built-in high-quality and large-capacity battery, with Tiso’s powerful chip management technology, the speaker can play 15 hours within 50% volume, 10 hours within maximum volume. 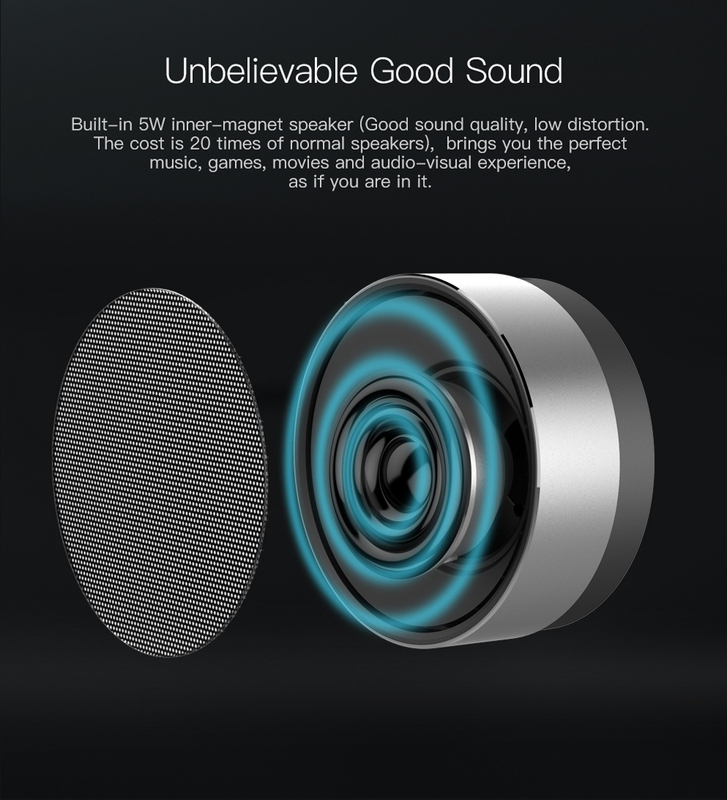 Built-in 5W inner-magnet speaker(Good sound quality, low distortion. 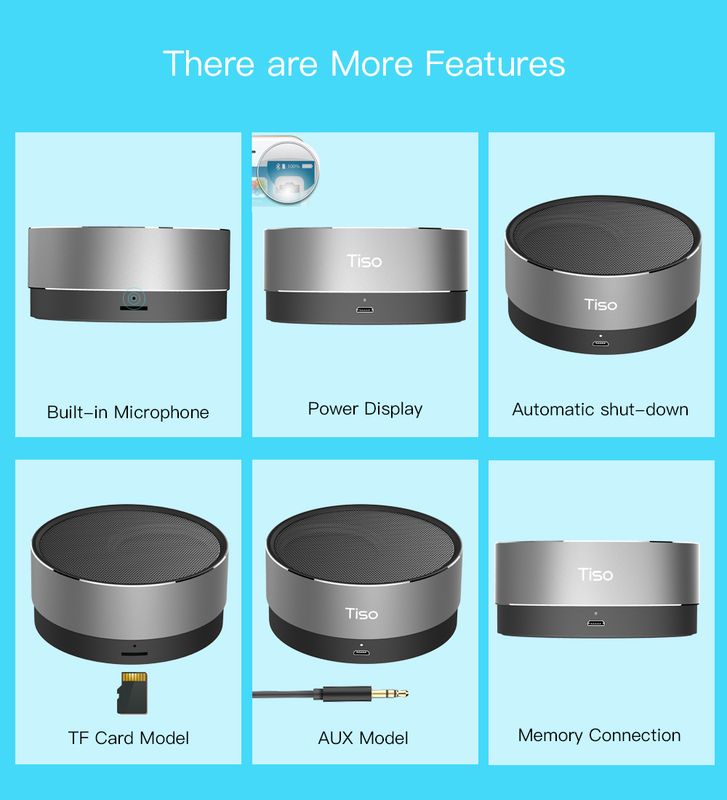 The cost is 20 times of normal speakers), brings you the perfect music, games, movies and audio-visual experience, as if you are in it. 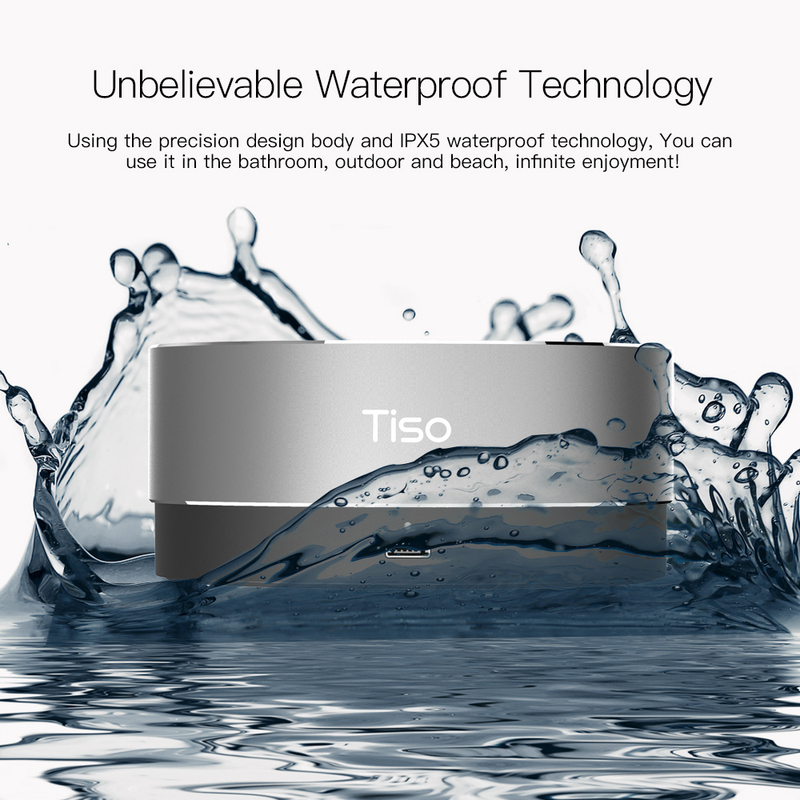 Using the precision design body and IPX5 technology, You can use it in the bathroom, outdoor and beach, infinite enjoyment! 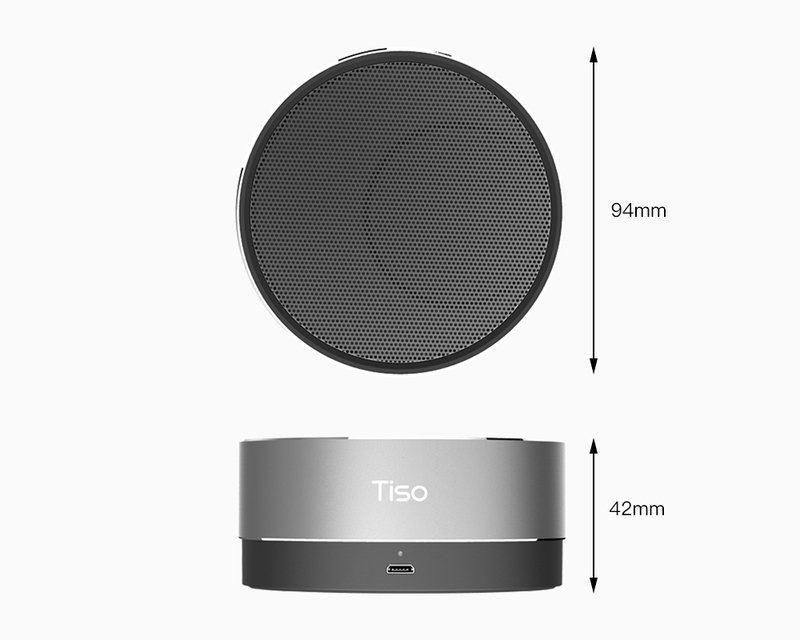 High-cost aluminum alloy material brings you the fine texture and unforgettable touch feeling. 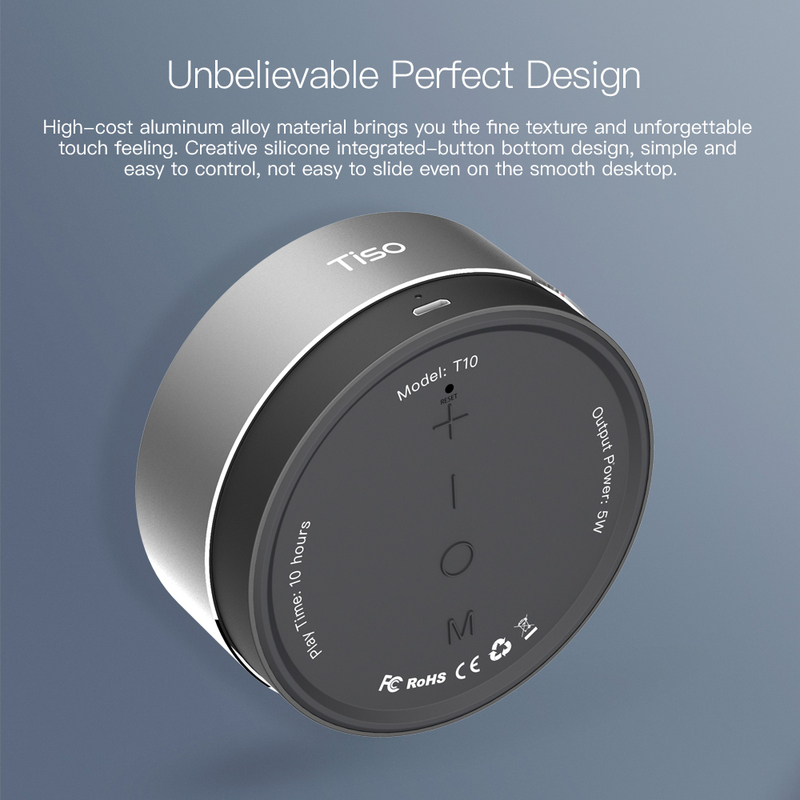 Creative silicone integrated- button bottom design, simple and easy to control, not easy to slide evev on the smooth desktop. 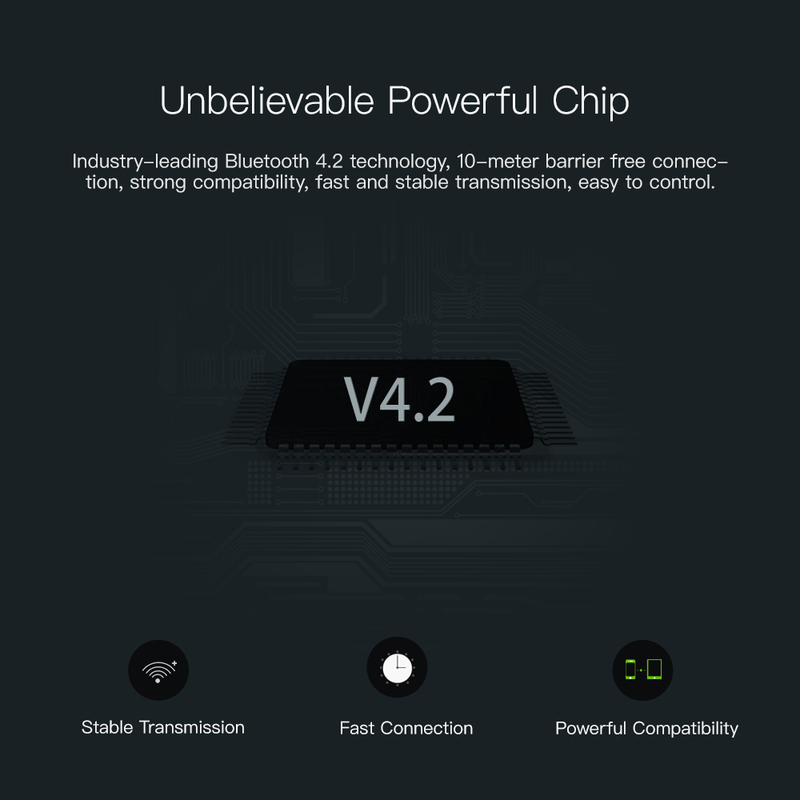 Industry-leading Bluetooth 4.2 technology, 10-meter barrier free connection, strong compatibility, fast and stable transmission, easy to control.